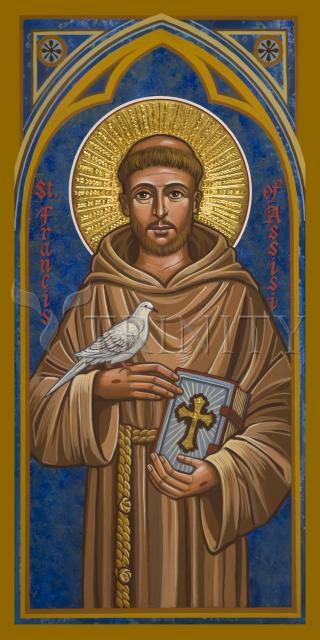 Glorious Saint Francis, who voluntarily renounced all the comforts and riches of thy home to follow more perfectly the life of poverty and abnegation of Jesus Christ: Obtain for us, we pray, a generous contempt of all things in this world, that we may secure the true and eternal things of heaven. Glory be to the Father, and to the Son, and to the Holy Spirit. Amen. Francis' conversion did not happen overnight. God had waited for him for twenty-five years and now it was Francis' turn to wait. Francis started to spend more time in prayer. He went off to a cave and wept for his sins. Sometimes God's grace overwhelmed him with joy. But life couldn't just stop for God. There was a business to run, customers to wait on.